Rubicon - the True Taste of the Exotic. 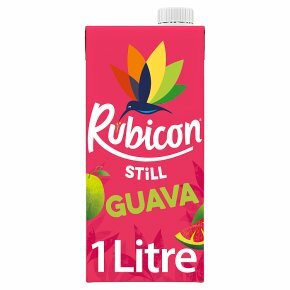 Still exotic Guava fruit drink made from the finest hand picked, pear-shaped, pink Guavas, now with half the sugar. What is a Guava you say? It is a delicious, sweet, distinctive fruit that will knock your flip flops off, that's what. Suitable for vegetarians.Not only a treat for your taste buds, Guavas have the most unique smell out there - no other fruit is quite like it.